Prana Films is the production company of the filmmakers and journalists Luciana Tomasi and Carlos Gerbase, who was born with the goal of putting a lot of energy into the making of films and TV series.It’s also the production company responsible for the programming of Santander Cultural’s theater, in Porto Alegre. Through it, Prana develops the educational project Primeiro Filme (First Movie), teaching high school students from public colleges how to make their first short films, and showcasing them at their own festival. Since the 1980s, when its name was Vortex Productions, the production company of Carlos Gerbase and Luciana Tomasi has made several films – like “Inverno” (Winter), a feature film directed by Gerbase and filmed in Super-8, which won Best Film in Super-8 at the Gramado Festival in 1983. 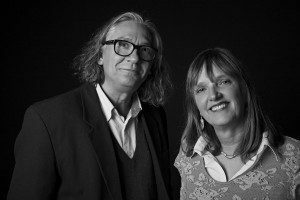 From October 2011, when the duo left the production company Casa de Cinemaafter 25 years as founding members, Vortex adopted the name Prana Films. Since then, Prana produced and released Gerbase’s feature films films “Menos que Nada” (Less Than Nothing) and “Bio”, as well as TV series, shorts and films made by other directors – such as “Yonlu”, directed by Hique Montanari, “Legalidade” (Legality), by Zeca Brito, “Mudança” (Change), by Fabiano de Souza, “Turma 5B” (Class 5B) and “A Pedra” (The Stone), directed by Iuli Gerbase, and “Amores Passageiros” by Augusto Canani. In 2014, Prana also produced the digital exhibition “Moacyr Scliar, The Centaur of Bom Fim”, which portrayed the life and work of Moacyr Scliar (1937 -2011), a famous writer from Porto Alegre, highlighting his multiple professional and artistic activities. Over two months, more than 103.000 visitors were on the exhibition at Santander Cultural. Currently, Prana Films is focused on the development of four feature films and two TV series. Two of the films are projects by filmmaker Iuli Gerbase, the second generation of the production company.